Please actually read the title. I am NOT accepting any Beastkeeper silver, items, or pets as payment, only Flight Rising. Sorry I have to get passive-aggressive about this, I've just gotten a lot of Beastkeeper item offers from people recently and it's getting a little irritating. Yep, everything. 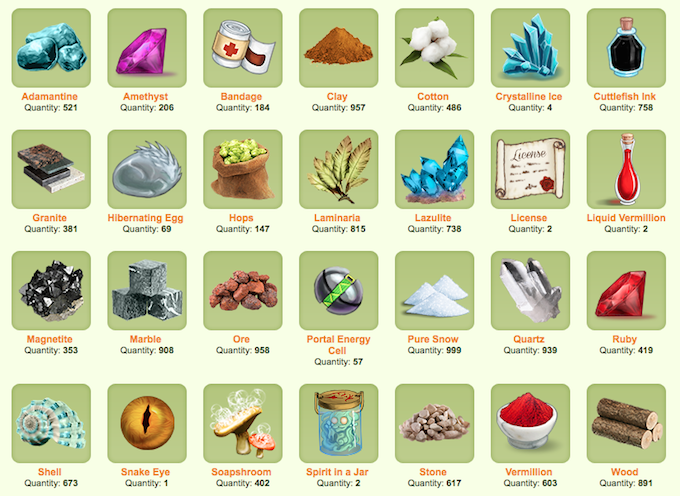 Barring a few pets I'm somewhat attached to, I'm trading everything on my account for stuff on Flight Rising, mainly treasure and gems. I'm not totally set on which pets I want to keep, so feel free to ask about any of them. Chances are I'll part with any of them given the right price. I respond faster to messages on Flight Rising, since I'm more active there (username is Sumatra), but posting or PMing me here is fine too. I'm completely open to haggling. I used my last one up producing my Stormclaw/Sharptooth deviant twins. Well, I don't anymore, just traded it yesterday. Thanks for reminding me to update the screenshots, though. Bump. Now offering my Kami collection. How much for Auxo? I have treasure/gems. 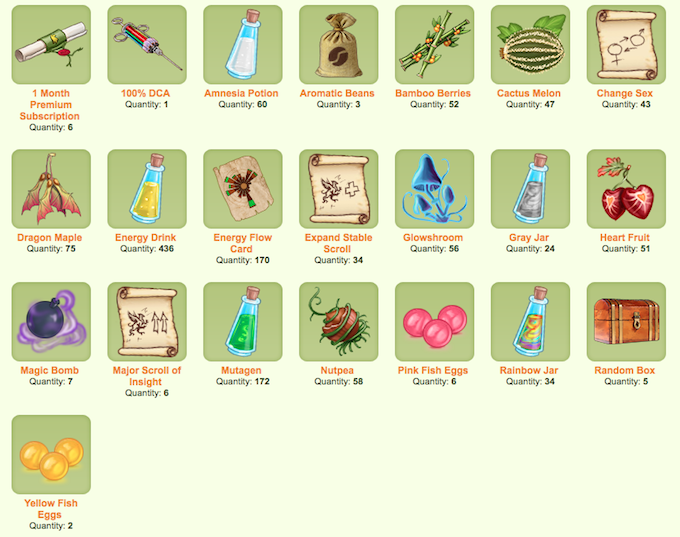 how much do you want for the Amnesia Potion? Sorry for the late response! Amnesia potions are pretty easy to find, so...does 10kt sound good? I'm Interested in Thallo, What are you wanting for her? I'm hoping to get at least 3kg or the equivalent value for Thallo, though I'm open to haggling. Make me an offer? I feel this is still open, how much for a Rainbow Jar and Premium Membership? I'd love to work out something for dita and the hopper if you are still offering them. I don't have anything on Flight Rising since I don't play, but I do have perfect dragons or lykos if you're interested. I would really like the kami but would also take vermillion. Sorry for the late response. I think I'm all set on dragons and lykos now. At this point I'm mainly looking for pumas, gryphons, symurghs, cockatrices, and maybe some throdama morphs.